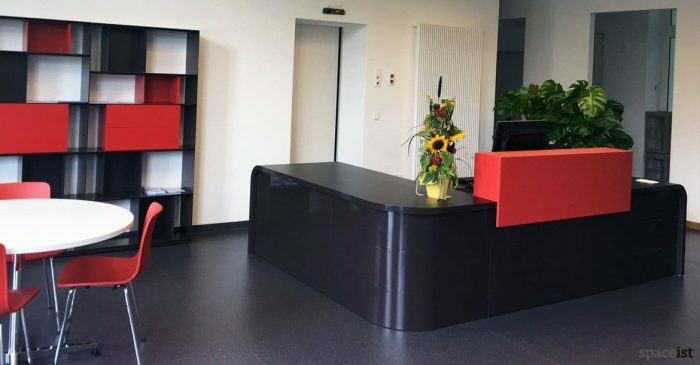 White corner reception desk with colourful counter top. 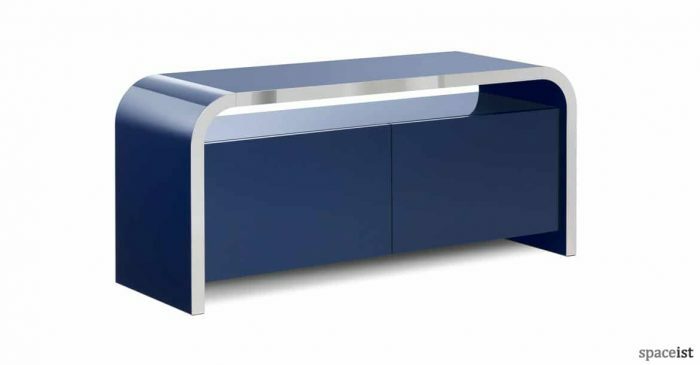 Desk and counter top unit can be finished in over 60 colours. 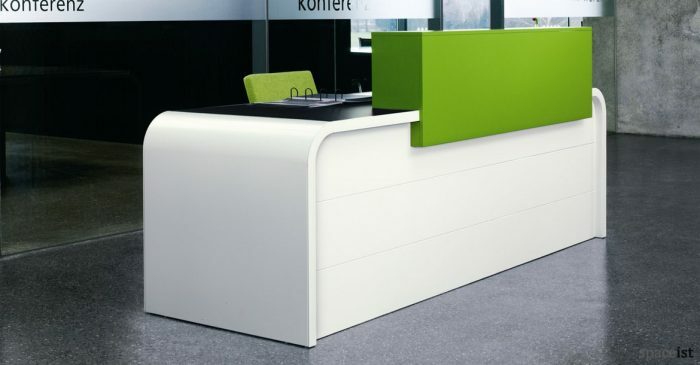 White curved meeting room cabinet. 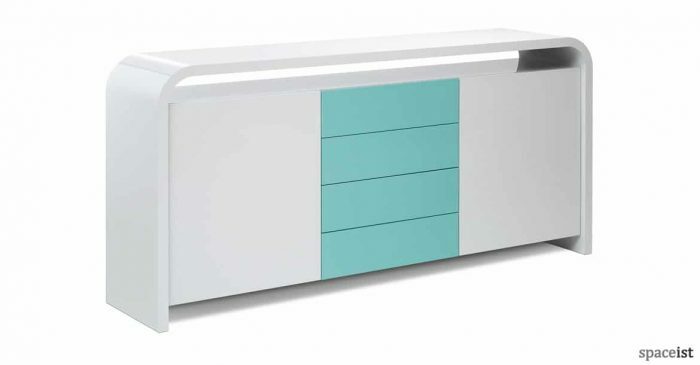 Low cabinet can be finished in over 60 RAL colours. Curved white and walnut meeting room cabinet. Top can be finished in over 60 RAL colours. 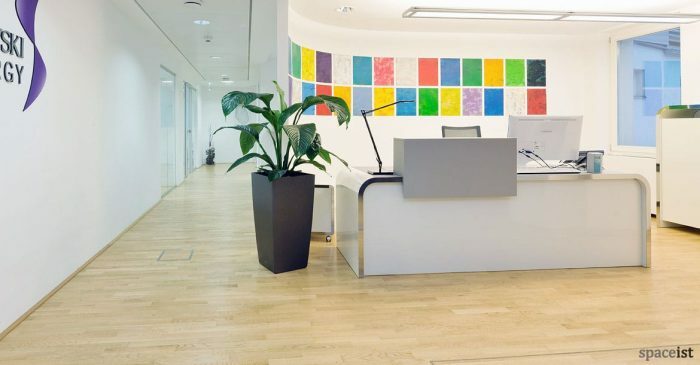 White long reception desk with colourful counter top. 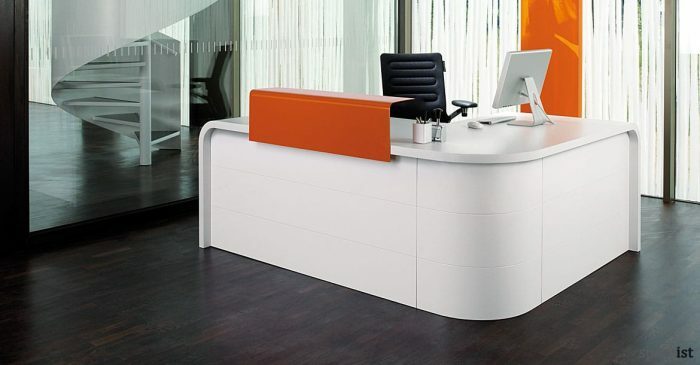 Desk & counter top unit can be finished in over 60 RAL colours.